Patrick is a civil practitioner specialising in housing and homelessness cases, personal injury and construction law. He is regularly instructed by homelessness charities acting for clients who face imminent eviction or who have been refused accommodation by local authorities. He undertakes personal injury and construction cases for claimants and defendants and is willing to consider acting under a CFA in appropriate cases. Patrick has acted for claimants in brain injury cases involving complex issues of causation and prognosis. He has also acted for claimants in industrial disease cases where the cause of action occurred many years ago and the employer relies on a limitation defence. Patrick is instructed by employers and contractors in construction disputes involving defective workmanship, non-payment and professional negligence. He has experience in adjudication and arbitration and is a member of TecBar. 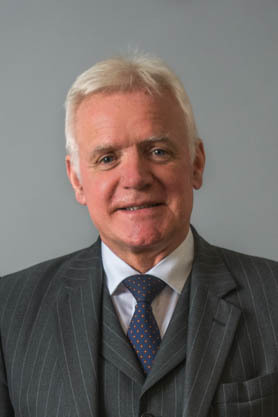 Patrick acts mainly for tenants in housing disputes including homelessness applications, section 204 appeals, disrepair claims and possession proceedings. His clients are generally among the neediest and most vulnerable and require particularly sensitive care and understanding. Patrick is a keen golfer of limited ability and is a member of both the Inner Temple and Bar Golfing Societies. He enjoys rugby and boxing but nowadays only as a spectator. He is also a keen runner and has run several marathons and half-marathons. Clinical negligence case in which the 10-year-old claimant suffered a brain injury and total blindness as a result of a negligent diagnosis by her GP. Order for possession made against Defendants at hearing in which they did not attend and were not represented.